Of any list I’ve had to do, this is the hardest. Not particularly because I don’t know what games will be coming out, simply because we know absolutely nothing about them yet. No upcoming Sports & Racing game list could truly be made without at least mentioning the behemoths of the genres. We just know that we’re going to see releases of Football Manager 2020, Fifa 20, Pro Evolution Soccer 20, WWE2K20 and all of the other annual franchises. The problem is, that’s all we know. What will the features be? Not a clue. Sure, some of them will feature a football and elements central to the series, but what will make them stand out from previous entries? Not a clue. That’s why no annualised franchise will feature unless the game has specifically been announced and they’ve at least revealed an image that I can put under a header, before waffling on about why it’s an anticipated game due to the previous entry being half decent. 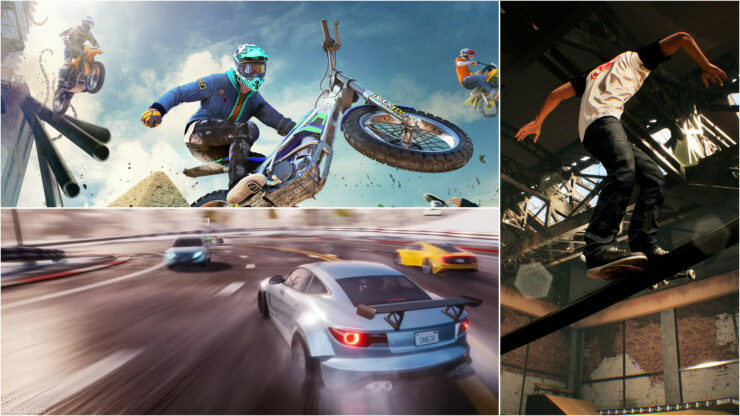 On that revelation, let’s have a look at our most anticipated Sports and Racing Games of 2019. Genre: Racing. Platforms: PC, PS4, Xbox One. Trials has, since it was first released 20 years ago, managed to capture an audience far larger than what I thought it would. It’s managed this with good reason. Not only does it cater to those who simply want to jump into the crazy motorbike game where you brutalise a rider so much that it may be breaching the Geneva Convention, it also caters to those who really want a challenge and to practice their skills, honing them and being the best they can be. Well, I’m not. I’m, at best, mediocre at the Trials-ing. I either lean too far back or push too far forward, on occasion I get it just right though. Those are the moments I live for. The moments I have a huge grin on my face, where beyond all human understanding, I actually made a stupidly difficult jump and got it right. On the first time, for god’s sakes. I must have been cheating! Trials Rising, launching next month, will bring brand new features including tracks set against the backdrop of real locations, such as the Pyramids of Giza, and task you to compete on tracks that incorporate them, as well as the chaos you’re used to. Furthermore, the single player takes a further leap by including challenges from sponsors and if you want to go multiplayer, you can always ride tandem. 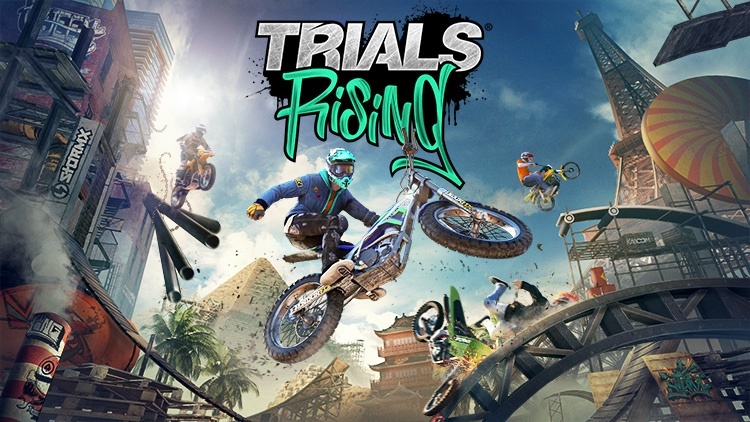 Trials Rising is, as with every Trails game, one to look forward to. Without any shadow of a doubt, DiRT Rally was a fantastic game. As the 11th title in the Colin McRae Rally series, and the second to drop Colin McRae’s name altogether, it was a true return to pure rally racing and making it as realistic as possible. The regular DiRT titles are excellent, but for those wanting the game to put you as close as possible to the real thing – that was certainly the game for you. Naturally, following the success that was DiRT Rally and DiRT 4, Codemasters is looking to make a return to pure rally and this comes in the form of DiRT Rally 2.0. The new iteration features track degradation to further enhance the simulation that comes with riding around a more malleable track. Working with this is a complete revamp of the handling and aerodynamics systems to make it even more realistic. Genre: Racing. Platforms: PC, PS4, Xbox One, Nintendo Switch. Speed. Power. Technique. Which of these three applies to you, or at least which do you prefer? In Team Sonic Racing, this is the decision you’ll have to make in one of the few strong looking kart racers of recent times. Developers Sumo Digital have a history of working with the Sonic franchise, particularly on racing games such as Sonic & Sega All-Stars Racing as well as the sequel Sonic & All-Stars Racing Transformed. Having been able to play Team Sonic Racing last year at EGX, I’m certainly happy in saying that it is certainly looking out to be a strong kart racing title. That’s a great thing primarily because there are so few, with the whole theme being propped up by the constant releases of Mario Kart: The Next One. Granted, there’s little these types of games can do to improve on themselves, beyond adding to the roster of characters. 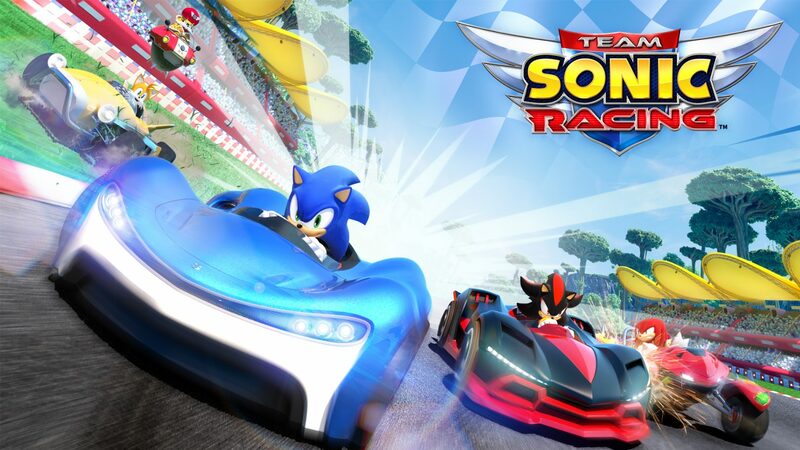 Team Sonic Racing does offer a bit of variety through team mode, which means that racing with and ensuring the position of other riders within your team matters more than solo victory. What matters the most is how it feels and if it’s fun. The answer to those is great and yes. From what I remember it was tight, handled as well as Mario Kart does, with drifting being where you can really show off your skills. The game features a collection of items to use as weapons or boosts, you can even pass them to a team-mate if you so choose. The main thing will be if the AI improved from when I first played it as it quite clearly didn’t want to work as a team. Genre: Sports. Platforms: PC, Xbox One. It’s been a long time since we’ve had a truly good skateboarding game. The Tony Hawks series shuffled onto the scene and stunk up the world with the downright abysmal Tony Hawks Pro Skater 5 in 2015, which came five years after the dead on arrival Tony Hawk’s Shred, thanks to the expensive Skateboard peripheral. We last saw the Skate series in 2010. At least we had OlliOlli2 back in 2015. 2019 may be the year that finally changes that. Following a successful Kickstarter at the end of 2017 which raised double the requested funds, Crea-ture Studios originally scheduled Session to be released in 2019 as well as revealing a three-month console exclusive for the Xbox One. What immediately captures me with Session is not only the high visual fidelity shown in videos and screenshots but also the reported setting and gameplay. 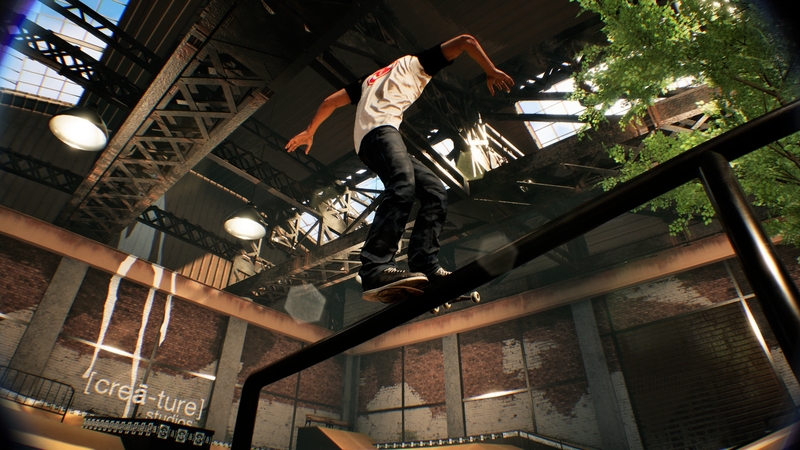 With an open world for you to skate at whim and exploit however you can and detailed controls, Session hopes to be one of, if not the most realistic skateboarding game ever. It’s been a long time since we last saw a Burnout title. This is thanks to EA moving developers Criterion to Need for Speed, then completely away from the racing genre, onto the astoundingly well received Battlefront II and then Battlefield V. Essentially, Criterion became the support team of DICE, which makes a return to Burnout unlikely. This hopefully won’t be an issue now, thanks to the development of Dangerous Driving by developers Three Fields Entertainment – a team founded by the Burnout co-creators. 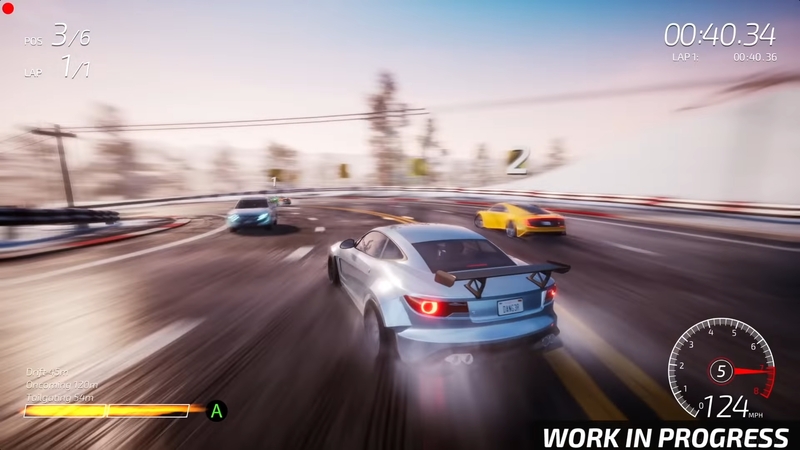 Dangerous Driving, planned to release on the 22nd of February, has a planned eight game modes with many of them harking back to the team’s Burnout days. From what has been seen in gameplay videos, it may not look like the most aesthetically pleasing game in the world – though that isn’t to say it looks bad – what it does look like is immense fun. The feeling of an arcade racer where you can move at breakneck speeds, crashing opponents out of the way and drifting in a way that nobody else can is a surefire way to bring a grin to my face. Naturally, this list would be larger if I included the aforementioned annualised titles but without even a website to link to, they haven’t been included above. These titles do include FIFA, Pro Evolution Soccer, F1, WWE, NBA and most others you could think of. Even missing these, the list of games to look forward to certainly has some pedigree. With the sequel to the exceptional Dirt Rally coming early this year, Team Sonic Racing looks like it could be a good multi-platform kart racing game and Trials Rising should continue to be the silly-fun game it’s been since first released as a browser game 20 years ago, particularly considering the quality of the previous two titles following RedLynx’s purchase by Ubisoft. Naturally, there are other titles to keep watching. While they haven’t had a great deal said about them so far, they still deserve mentioning. All things considered, this should be a good year for both Sports and Racing games, particularly with the hopeful rejuvenation of Skateboarding games as well as a strong looking spiritual successor to Burnout to look forward to. If there’s any you think I’ve missed, do let me know.